Located to the east of the coastline, this is one of the beaches created by the urban transformation of the seafront carried out in 1992 for the Olympic Games. Most people who use Mar Bella Beach, which has a lot of loyal devotees, live in Sant Martí, the district it belongs to. Part of the beach is a nudist area. Near the Bac de Roda groyne there is also a children’s play area and another for volleyball. 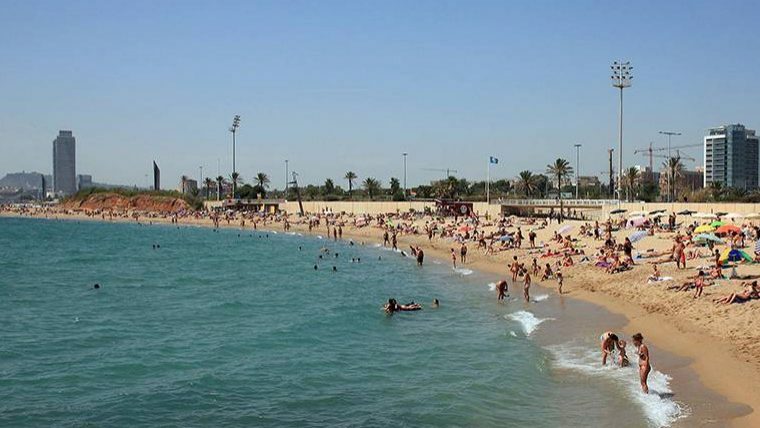 Other leisure facilities include a basketball basket, a place for skateboarding and a table-tennis table at the top end of the Passeig Marítim promenade, near the Mar Bella Sports Centre. At the west end there is a centre for sailing and rowing known as the Base Nautica. Altres equipaments són una pista de monopatí situada a la part superior del Passeig Marítim i la Base Nàutica on es fan activitats relacionades amb el mar.